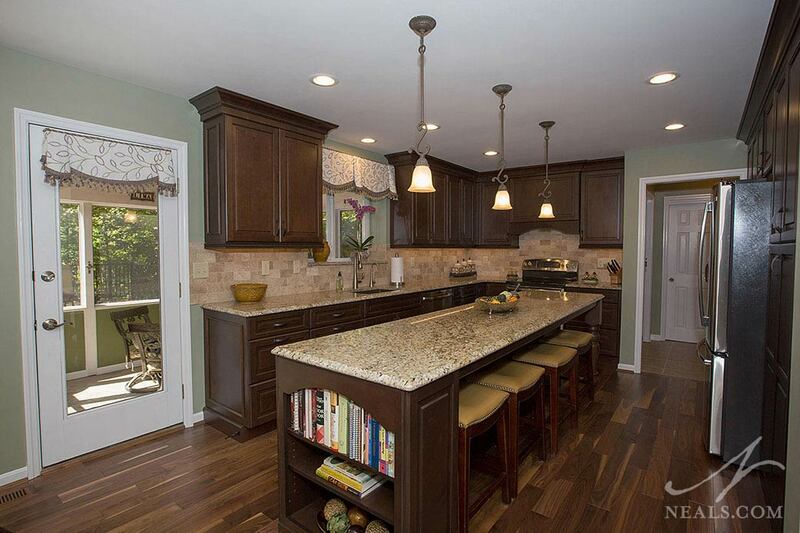 This Loveland kitchen started with a functional layout that worked well with the central island. 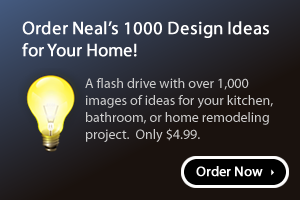 The dark cabinetry and white counter and floor tile, however, were not stylish, and made the kitchen feel boring and cheap. 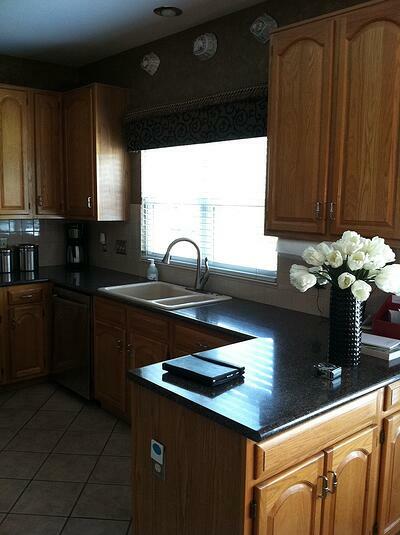 To update the kitchen, the cabinets were exchanged for higher-quality cabinets in a more sophisticated deep brown shade. 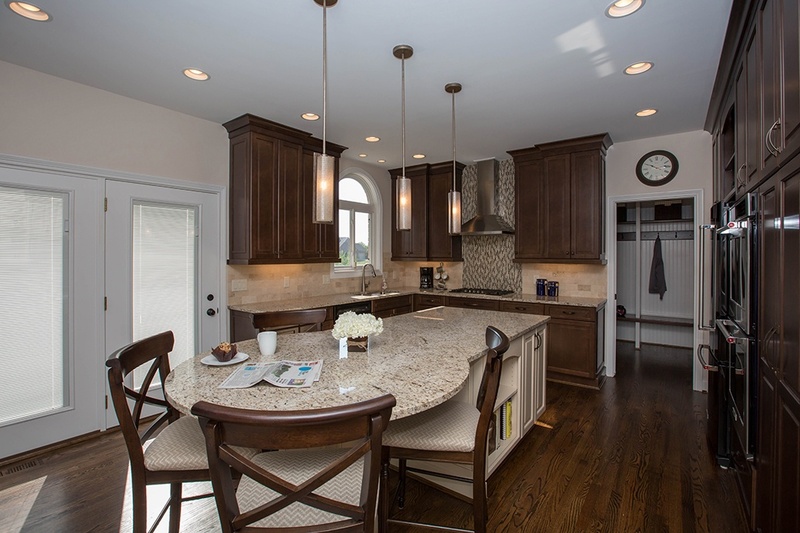 Travertine tile and Venetian Gold granite counters improve the look dramatically. New wood flooring finishes off the updates. 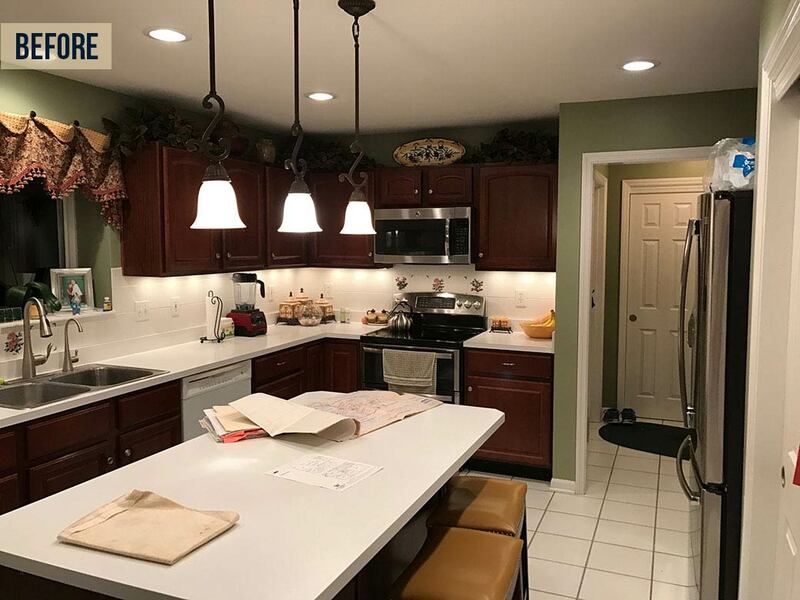 As is the case in many neighborhoods throughout the Greater Cincinnati area, where older homes are more common, the kitchen in this Milford home was in need of major updating. The new kitchen takes advantage of an L-shaped layout to add significantly more functional storage and add a lot more character to the home. 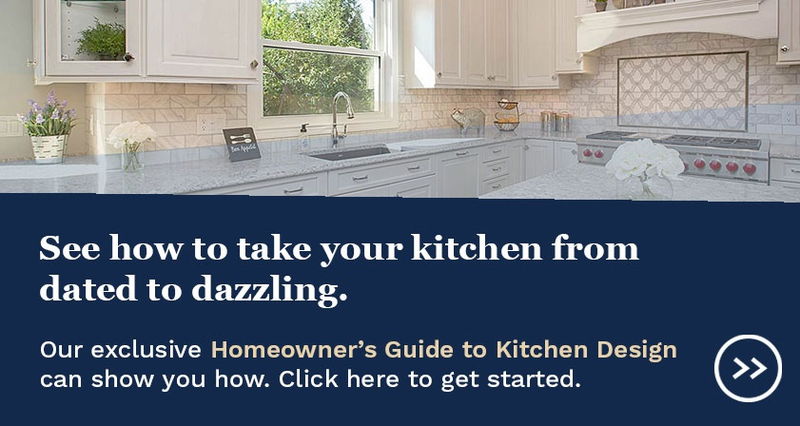 The kitchen's style, which is anchored with white recessed-panel cabinets (a classic choice), hearkens to the older pedigree of the home, while the mix of backsplash tiles and gray counter create a modern feeling. 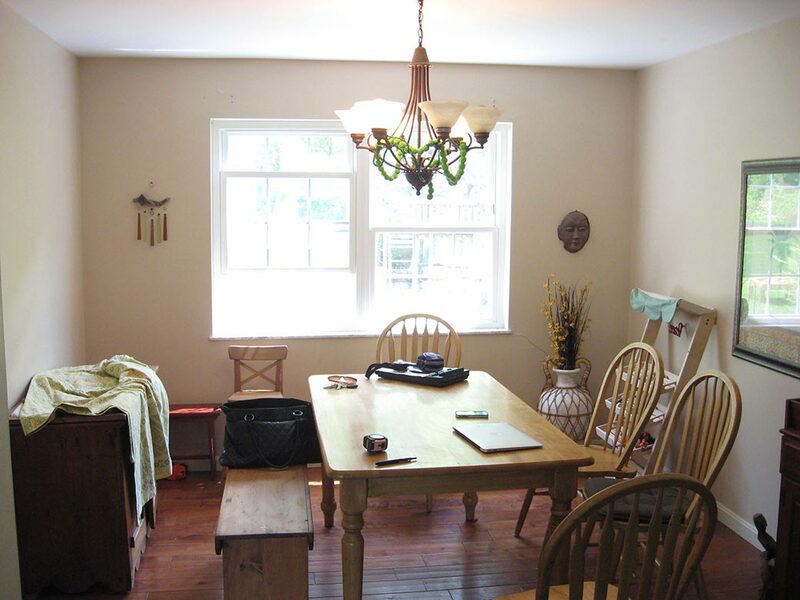 In order to get a more open and family-friendly kitchen in this Blue Ash home, the dining room, breakfast room and kitchen were all opened up to each other, and the center of the kitchen was moved into the old dining room. Since the change was a complete overhaul of the space, it provided a great opportunity to start fresh with a new chic design. The kitchen plays with color (with a striking wood and green painted island), and texture in the river-rock like backsplash. Golden accents throughout add the finishing touch. 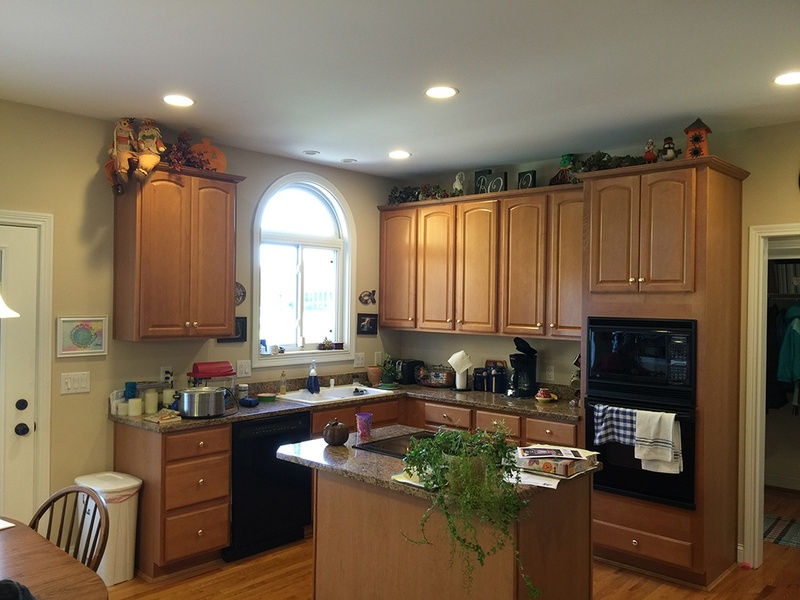 This West Chester kitchen remodel is a prime example of how the a basic kitchen with unassuming cabinetry and almost no design to hold everything together, can be greatly improved when all the elements are assembled specifically to create a cohesive space with a distinct style. 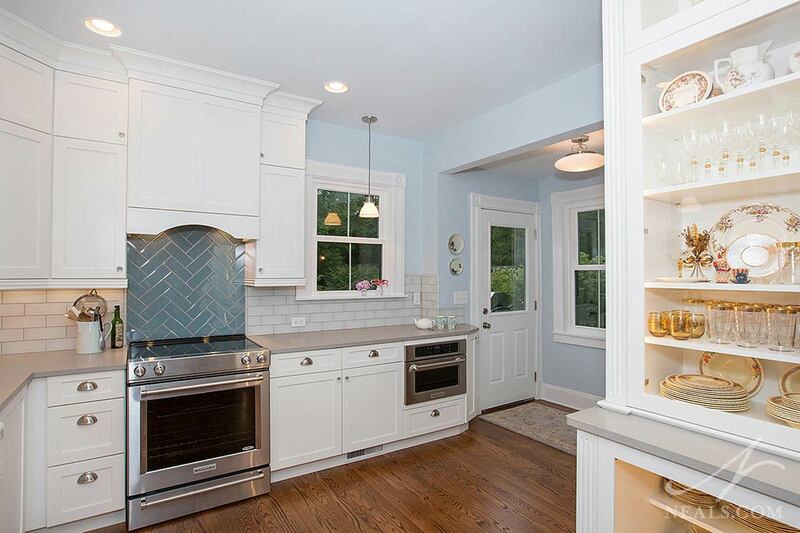 The new kitchen follows the layout of the old one, but with a mostly white scheme instead of the mixed palette of the original, the kitchen feels more inviting, open and ready for anything. 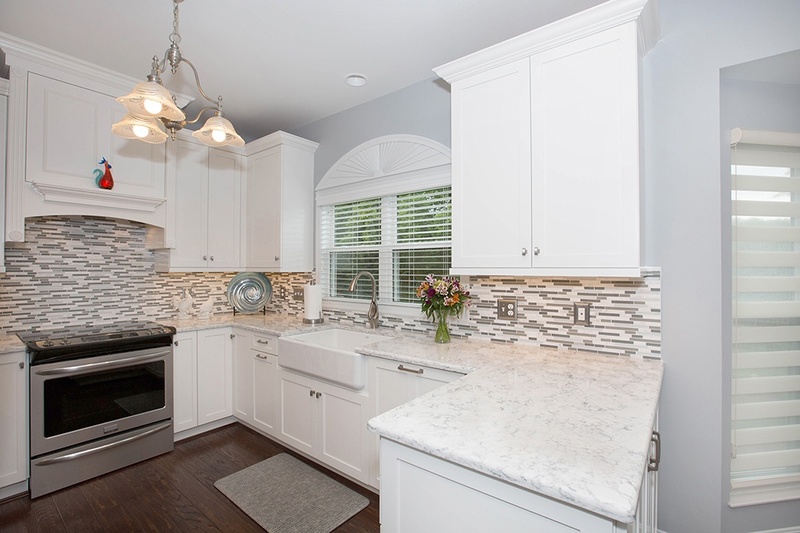 To see more photos from this home remodeling project, click here. The concept of the island in this Mason kitchen had good promise in the original, but with the majority of the space taken up by a cooktop, the practicality of it was simply not there. 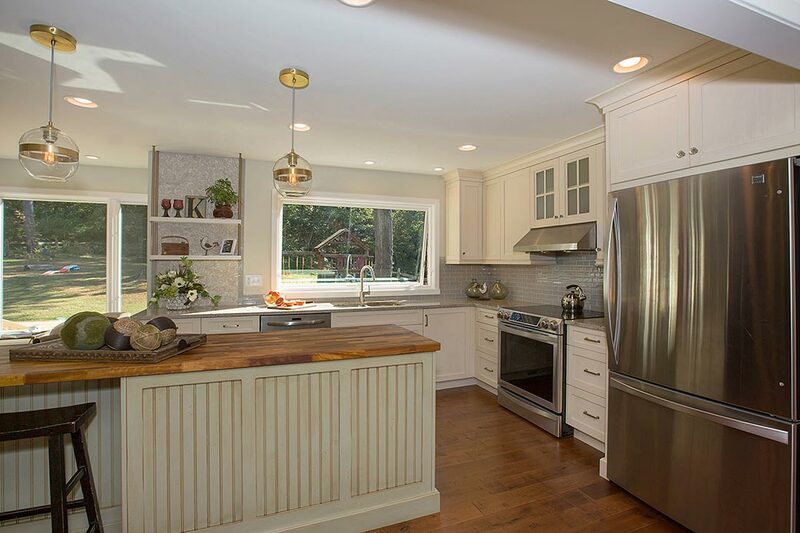 To improve the kitchen, and add much needed working surface, the cooktop was replaced by a range, and the island was redesigned as a stand-alone piece that flowed into the breakfast room. This new island, though larger, creates the feeling of the kitchen encompassing the whole space, rather than limited to one end of it. Adding to that is a style upgrade that focused on a transitional mix of neutrals, creating a sophisticated and accommodating kitchen. 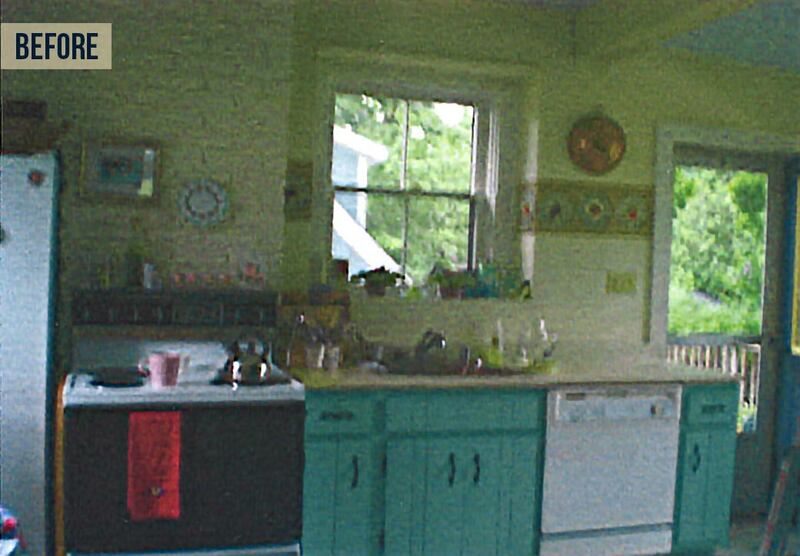 Click here to see more photos from this kitchen project.